Petra has owned Lakeside Physiotherapy Clinic since 1994, after 14 years of varied community and hospital practice. She is a 1980 graduate of the Physical Therapy program at McMaster University and Mohawk College in Hamilton, Ontario. In 1998, she demonstrated competence through study and examination, in Orthopaedic and Manipulative Therapy, Intermediate Level. She is a resident of the Canadian Academy of Manipulative Therapy. Since 1999, Petra has been pursuing a strong interest in Women's Health, and treatment of Pelvic Floor conditions, including incontinence and dyspareunia. She has completed Advanced Pelvic Floor courses, including Chronic Pelvic Pain, Anorectal Disorders, and the Male Pelvic Floor. In 2010, Petra achieved certification to practice Gunn IMS (intramuscular stimulation with needles). When not seeing clients or taking care of business, Petra can usually be found on the local roadways cycling or running, hiking or skate skiing the Kootenay's gorgeous mountain terrain, or cooking for friends and family. She is a member of Nelson's Cyswog'n Fun 1/4 Ironman Triathlon organizing committee, volunteers with the Nelson Nordic Ski Club, and Nelson Youth Soccer. Her proudest achievement remains raising two great kids! 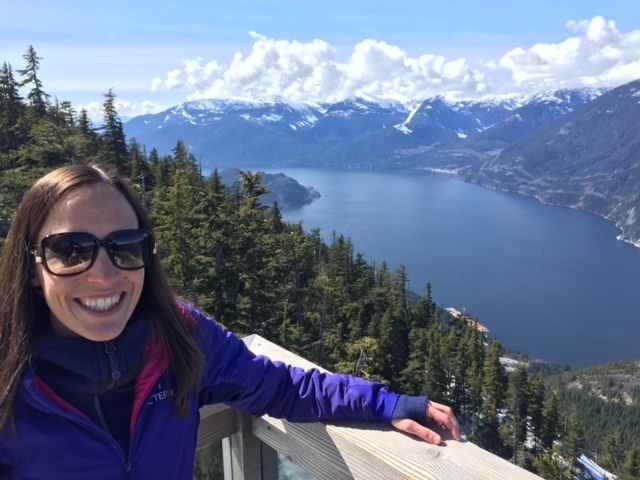 Courtney graduated from the University of Alberta in 2009 with a Master of Science in Physiotherapy and prior to this she obtained a Kinesiology degree from the University of British Columbia in Vancouver. Since graduation, Courtney has completed several continuing education courses including the Level 3 components of her manual therapy education through the Orthopedic Division of the Canadian Physiotherapy Association as well as GUNN IMS (an intramuscular stimulation dry needling technique). She enjoys incorporating these skills along with soft tissue techniques and therapeutic exercise to provide her clients with a well rounded treatment plan. Courtney's interest is in treating sports related injuries from the weekend warrior to the high level athlete, and she has extensive experience with this population as well as with those post operatively. On a personal level, Courtney enjoys being as active as possible! When not at work, you can find her spending her spare time exercising, out walking with her daughter and dog, hiking, biking or skiing! Jacob's love of outdoor sport and recreation has fuelled his passion for helping others achieve optimal health, function and well-being. In 2015, Jacob graduated with a Master of Science in Physiotherapy from the University of British Columbia. Along his journey to this professional designation, Jacob worked as a personal trainer, while completing his undergraduate degree in kinesiology. As a personal trainer, Jacob built a strong foundation in the development of personally-tailored exercise programs and attentive client care. Since graduation, Jacob has achieved certification in several healing techniques. He is certified in acupuncture delivery through Acupuncture Canada. He is also qualified in intramuscular stimulation techniques (commonly known as IMS or dry-needling). Jacob has completed the level 1 component of his manual therapy education through the Orthopedic Division of the Canadian Physiotherapy Association and plans to pursue further levels. Jacob draws on his personal training background, clinical experience and specialized education to help clients of all ages address biomechanical faults, postural dysfunctions and other movement-related challenges. Jacob is particularly passionate about orthopaedic physiotherapy. Outside of the clinic, Jacob enjoys adventures in the wilderness. His love for the outdoors began at an early age when he summited Fisher Peak in the East Kootenays with his dad. 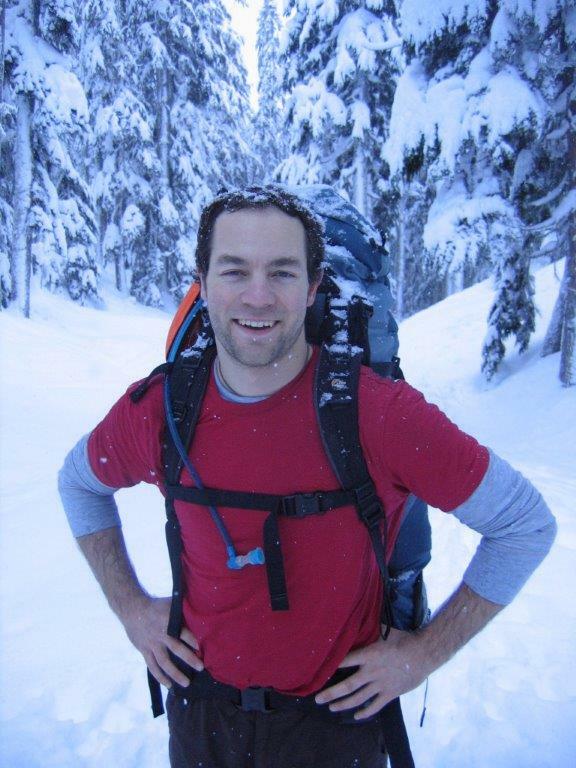 Before beginning physiotherapy, Jacob worked for 10 years as a white water raft guide in BC and Australia. Jacob is an avid climber and mountaineer and has scaled rock faces in Asia, Africa, Australia and all over North America. In the winter, you will find him back-country skiing in the mountains. Through these passions Jacob has cultivated a strong appreciation for physical health and the importance of being able to engage in sport and life. He enjoys guiding people to restore these abilities, whether it is gardening, picking up grandkids or performing in high-level sport activities. At a ripe old age of 13, a young, energetic Jason knew he was destined for a career in physiotherapy. His passion for sports and the opportunity to work with his hands, all while applying his detective-like problem solving skills, made physiotherapy the perfect fit. Jason first completed his Bachelor of Kinesiology at the University of New Brunswick in 2001, which propelled him to attend the University of Dalhousie. Here, he successfully completed his Bachelor of Physiotherapy, while achieving the Jean McAllouny award for an Outstanding Clinical Placement. 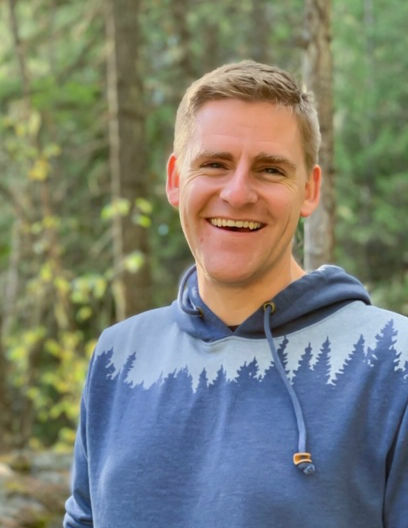 Following graduation, Jason's love of the mountains and adventure relocated him to Vancouver BC where he continued to grow as a young physiotherapist. He involved himself in the Orthopaedic Division of Manual Therapy, completing Level 3. As well, he achieved certification in the Gunn Method of Intramuscular Stimulation (dry needling). In 2009, Jason began working with Dr. Linda-Joy Lee, PhD, BSc., BSc(PT), FCAMT, at SynergyPHYSIO. Under her mentorship, he trained and later worked as a teacher assistant in the Integrative Systems Model (Lee & Lee) and Connect Therapy (Lee). Clinically, Jason enjoys working with a wide range of clients. He draws clinical experience from working with high performance and recreational athletes looking for an edge, to people suffering from chronic pain or failed rehab, who are looking for solutions. Jason has a deep understanding of all the different layers of the body, their interconnections and how the body moves as a whole. As a result, he offers a very cliented centered and outcome driven approach to his practice. 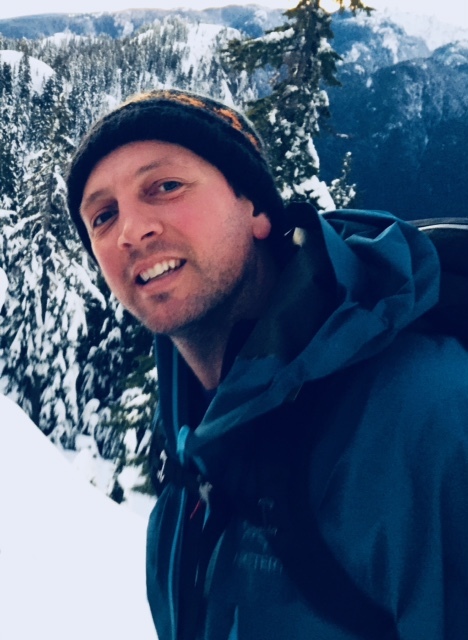 Since relocating with his young family to Nelson in 2017, Jason can be seen outside enjoying the fresh mountain air in all its beautiful seasons and all the dynamic liveliness nature brings. Josh began his academic career at Red Deer College where he studied as a student athlete and graduated with his Diploma in Kinesiology - majoring in Coaching and Sport Performance. He completed his degree at the University of British Columbia earning a Bachelors of Human Kinetics with a Specialization in Exercise Physiology. Josh graduated from the University of Alberta with a Master of Science in Physical Therapy. Josh has an extensive athletics background - playing competitive hockey, to college badminton, and everything in between. His love for sport, coaching, and training formed the foundation for what has become his true passion: Physiotherapy. Given his history in biomechanics and exercise physiology, Josh has a keen interest in restoring your normal movement and enhancing your functional capacity. He enjoys working with anyone who doesn't feel 100%. Whether it's a sports injury, work-related illness, neck or back dysfunction, motor vehicle accident, or dizziness, he looks forward to helping you get back to feeling like yourself. Josh has completed post-graduate courses including Acupuncture Canada AA1 and AA2, Biomedical Dry Needling, Selective Functional Movement Assessment, and Vestibular Rehabilitation. Josh is also a Certified Manual Therapist who firmly believes in a hands-on active and holistic approach to recovery, with a focus on education, exercise-prescription, lifestyle management, manual therapy, and acupuncture/dry needling. Aside from his numerous athletic pursuits, Josh has an eclectic list of hobbies and can most likely be found hiking with his wife and son, biking, paddling around the lake, or playing his drums. From a young age, Alexandra has had a passion for massage therapy. The passion lead to a successful completion of the 2011 board examinations with honours. She has continued to enhance her skills through continuing education. Some courses completed are: clinical orthopedic massage therapy of the neck, functional anatomical palpation of the lower limb, functional anatomical and range release of the spine, and Graston technique. Alexandra continues to work with our National Track and Field team. Her skills have been essential in maintaining athletes’ health both away at training camps and at home. Whether you’re an Olympic athlete, weekend warrior, or are dealing with our common daily stresses, Alex assesses each individual with the same care to create a deeper yet relaxing treatment using a variety of techniques including: myofascial release, deep tissue massage, trigger point therapy, graston technique and therapeutic exercise. Alexandra is in the process of completing her 200 Yoga Teacher Training at Shanti Yoga Studio. She plans to offer yoga classes as well as one on one yoga sessions. Alexandra strongly believes if you give to the community it will give back to you. She loves being involved in and volunteering her skills at a variety of events such as the 2013 Sri Chinmoy Self Transcendence Triathlon, 2013 Crossfit Winter Challenge, 2013 + 2014 Victoria Goodlife Marathon, 2015 Pulpit Fun Run, and the 2015 Power By You Olympic Lifting Competition. In the last few years her active, healthy lifestyle has lead to a passion for whole food nutrition and exercise. She has completed the Precision Nutrition coaching program and loves to be in the kitchen creating nourishing foods. Alice completed a bachelor of Kinesiology in Quebec at Université du Québec à Trois-Rivières, and has since worked with clients in injury rehabilitation programs, athlete’s performance enhancement, fitness assessments, and personal training, helping many to achieve their personal health and fitness goals. At Lakeside Physiotherapy, Alice works with clients who are recovering from injuries, chronic pain, or general reconditioning. She guides injured clients through safe graduated rehabilitation or workouts with the goal of returning clients to their jobs and lives stronger than before. She designs individualized exercise programs that focus on biomechanics, injury prevention, strength and conditioning. Alice is a long time figure skater and enjoys running, cross training, hiking, skiing and plenty of other sports activities. As a former athlete, she knows the demands of high level sports and understands how to prepare your body for intensive training. Her main career goal is to make sport and physical activity accessible to all in order to allow everyone to live active and healthy. Carlie has always felt drawn to the healthcare field, and pursued this passion for health by completing the 3000 hour Massage Therapy diploma program at the West Coast College of Massage Therapy in Victoria BC. After graduation, Carlie decided to return to her hometown of Nelson BC. She loves working in multidisciplinary clinics where she can learn from and work alongside other health care practitioners. Carlie is very passionate about health and strongly believes that wellbeing is dependent on the interconnectedness of both the physical body and the mind. She appreciates and admires the uniqueness of each body and the vastly diverse health care needs of each individual. Carlie incorporates a variety of modalities to achieve this goal such as myofascial release, deep tissue massage, muscle energy technique, Manual Lymph Drainage, and therapeutic exercise. Carlie has completed her training with the Dr. Vodder International School and is a fully certified Manual Lymph Drainage practitioner. This allows her to treat a variety of acute and chronic conditions involving swelling, including the chronic condition Lymphedema. This type of treatment uses a light massage technique that aims to reduce swelling by encouraging lymph flow, and multi-layer bandaging to maintain the effects of the massage. Please inquire if you have any questions about this type of therapy and if you have a condition that you think could benefit from this treatment. Carlie is also a certified 200 hour Yoga Teacher. She incorporates this with the therapeutic exercise components of her treatments and offers personalized yoga sessions for her clients that tailor to your specific needs or condition.